What? No, this album definitely lacks the creativity and musical bliss found on Fragile and CTTE. This is one of those "let's hold on, nostalgia rules!" pieces that people have as this is seen as the last "classic" album recorded by Yes until they fell to commercial songwriting. Unfortunately, much of this is commercial itself. With the exception of Awakening, there's no real solid track here, and most of it comes off as an already done mess. The presence of Wakeman doesn't make it good in and of itself. Besides, the band had already lost their most creative member (Bruford) earlier. The songwriting is dry, extremely predictable, and rarely entertaining. Most of these tracks one could have easily placed on 90125 and few would have noticed the difference. Most of this borders very closely to pop-progressive material, which might be great if you are one who enjoys more commercially acceptable music. 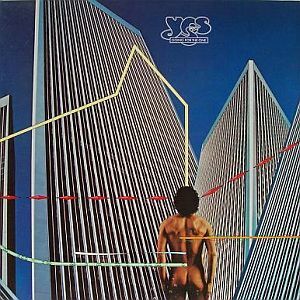 However, I am at a loss as to how so many see beauty in this album, which I view merely as an album of nostalgia as the last Yes hoorah, and see the music as mostly marginal. To each his own.